Life for the people of darkleaf is not peaceful these days. Plus, it looks like it is not going to get any better. So where are we on issue 8? Well issue 8 is in edits, which means it should go to press next week, if I can get everything fixed and changed. Also I am looking into quotes for the first graphic novel of bean (issues 1 to 4). I will have more on this later. Family is doing much better. Whatever that spherical creature is…I definitely do not want to run into one in the dark. Well, there goes the neighborhood ! ! -Per to the rescue ! 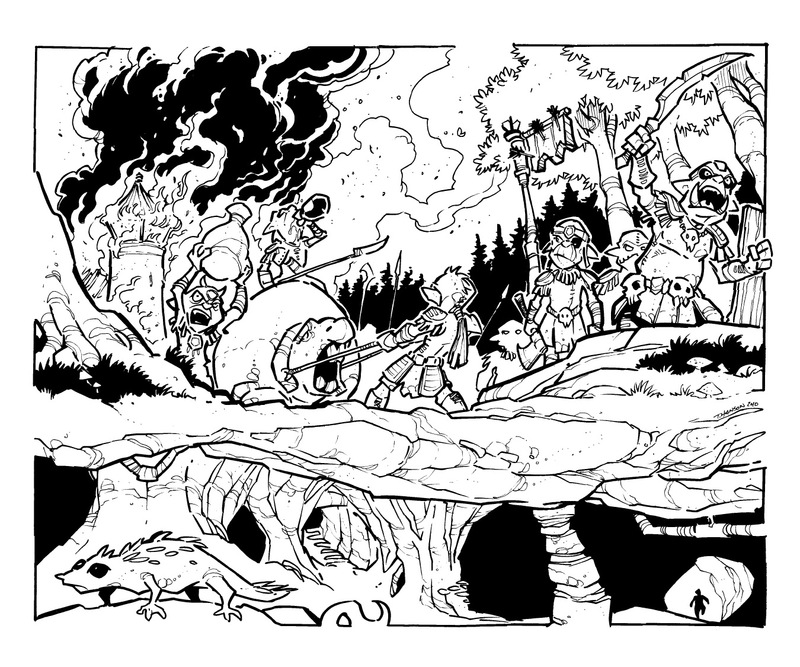 So, some village is already lost to goblins attack … but will Fencer arrive before the savage horde hits the big ones? more like farms- a farm though can seem like a small village. I lived on one when i was about 5 and there were 3 homes surrounding ours.